Happy Monday, Fountain Hills! This week, we are thrilled to have our Monday Member Spotlight rightfully on none other than the Fountain Hills Theater! 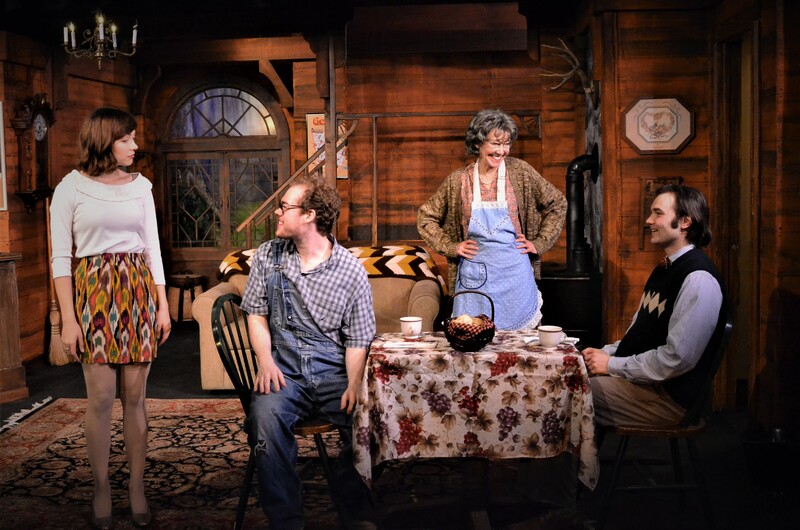 They currently are showing their play, The Foreigner, until March 24th and tickets are currently available for multiple show times. This production is one you don’t want to miss! So, what does a shy Englishman in search of rest do when he visits a fishing lodge in Georgia? In Larry Shue’s hilarious farce, Charlie Baker, a proof reader by day and a boring husband by night, adopts the persona of a foreigner who doesn’t understand English. When others begin to speak freely around him, he not only becomes privy to secrets both dangerous and frivolous, he also discovers an adventurous extrovert within himself. Because of the extraordinary commercial success of The Foreigner, Shue’s other plays came to the attention of American theatre companies. His earlier farce, The Nerd, had gone from its successful Milwaukee production in 1981 to similarly successful productions in England. It played in Manchester in 1982 and at the Aldwych Theatre in London in 1984, where it earned more money than any other American play on the West End. Two years after Shue’s death, in 1987, (He was one of 14 people killed in a commuter airplane crash.) The Nerd was produced on Broadway.. The Foreigner is produced by Anne Keller and directed by Ben Tyler. It stars Bryan Cameron, Sam Cook, Benjamin Harris, Roy Hunt, Estee Oglesbee and Shari Watts. The Foreigner will play March 8- 24, 2019. Performances are Thursdays, Fridays and Saturdays at 7:30PM and Sundays at 2PM. Individual tickets are $30.00 for Adults and $12.00 for Youth 17 and under. Seniors receive a $5.00 discount on all Thursday and Saturday performances. Group rates and student rush discounts are available. Veteran and Active Duty discounts. All performances are at Fountain Hills Theater on its Mainstage Too at 11445 N. Saguaro Blvd. (The Corner of Saguaro and Rand). Tickets are available through the Theater Box Office at (480) 837-9661 x3 or by visiting fhtaz.org. Box Office Hours are 12:00PM-5:00 PM Tuesday through Friday and 10:00am-5:00pm on Saturdays. For additional information not contained in this press release, please call Fountain Hills Theater Artistic Director, Peter J. Hill at (480) 837-9661 EXT. 7. The Foreigner is presented through Special arrangement with Dramatist’s Play Service.